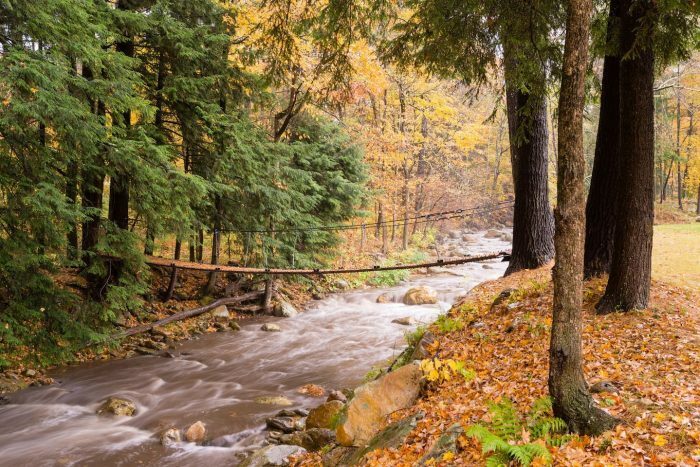 There’s no better way to experience the beautiful sights, smells and sounds of fall than getting out into nature. 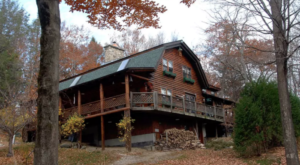 These beautiful cabins across Massachusetts are the perfect places to curl up in front of the fire, sip hot chocolate, smell the crisp fall air and take in all the wonder of the season. Featuring bay windows, a babbling brook (complete with a fairytale swinging bridge) and plenty of rustic charm, this secluded country cottage is tucked away in a swathe of protected forest. 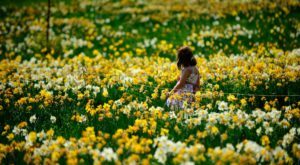 It's close enough to the towns of Williamstown and North Adams to make grabbing dinner or a show convenient. 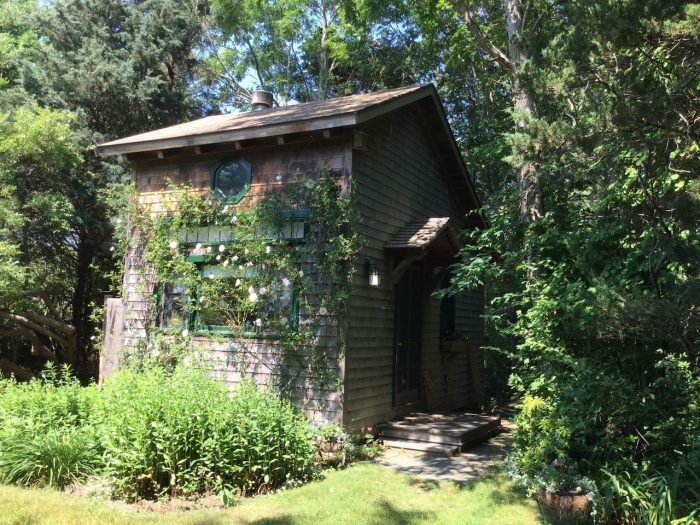 The cottage sleeps three adults, and starts at $99 per night. 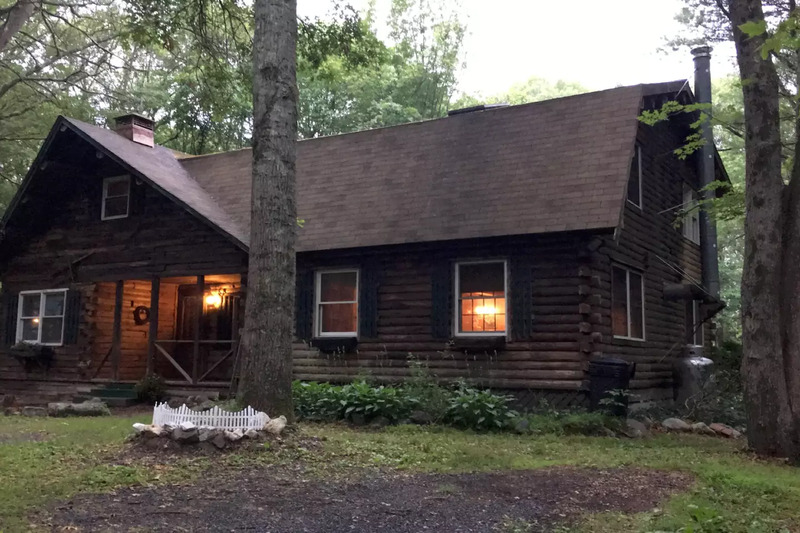 This cozy log cabin is nestled into a hillside overlooking Cranberry Pond. This is the perfect basecamp for exploring the surrounding wilderness, doing some boating, or just curling up with a good book. It sleeps six adults comfortably, but you can fit another two friends using the included inflatable queen bed. 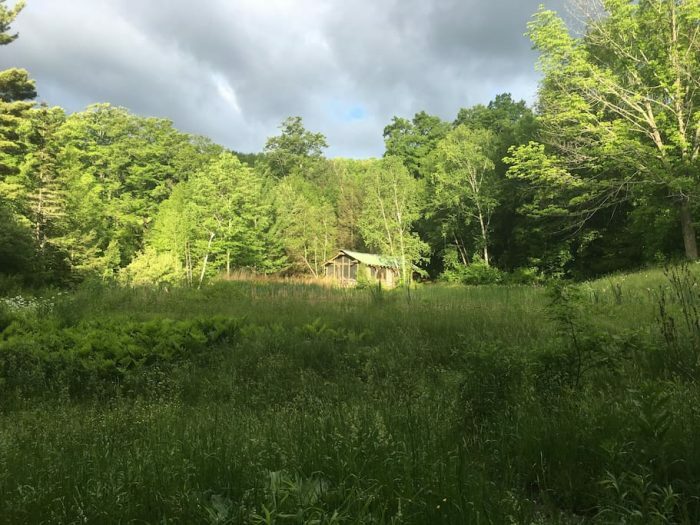 Renting this cabin starts at $200 per night. 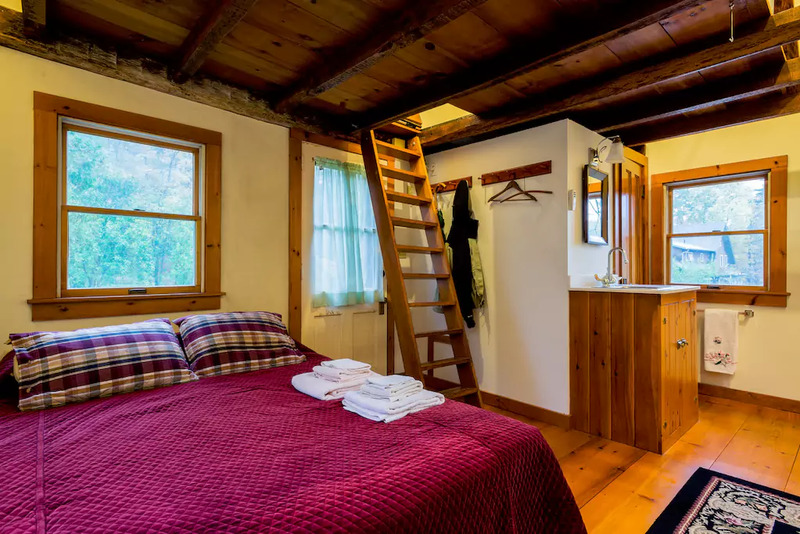 This cozy, one-room cabin is situated on a family homestead, and actually functions as a gallery when it's not being rented by guests. Swimming is only a two-mile hike away, and the area is perfect for stargazing. There's no running water, but drinking water is provided and there is an outdoor solar shower. 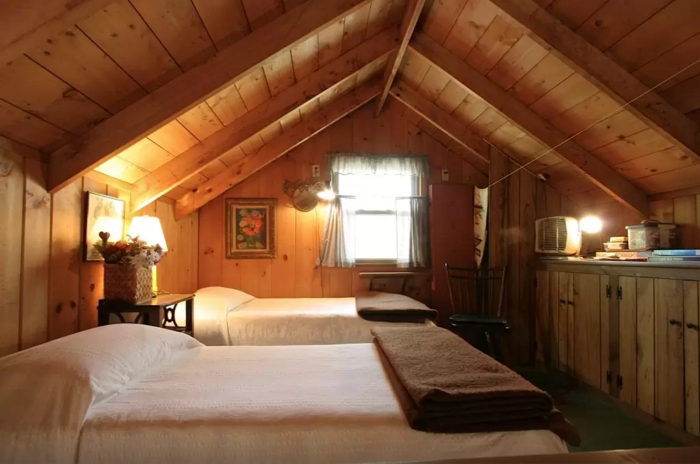 Rates start at just $60 per night for two adults. 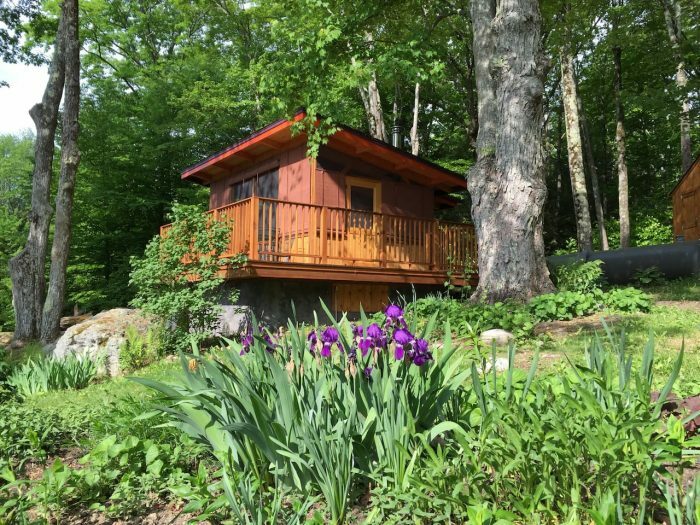 This beautiful cabin is tucked away in the northern Berkshires. 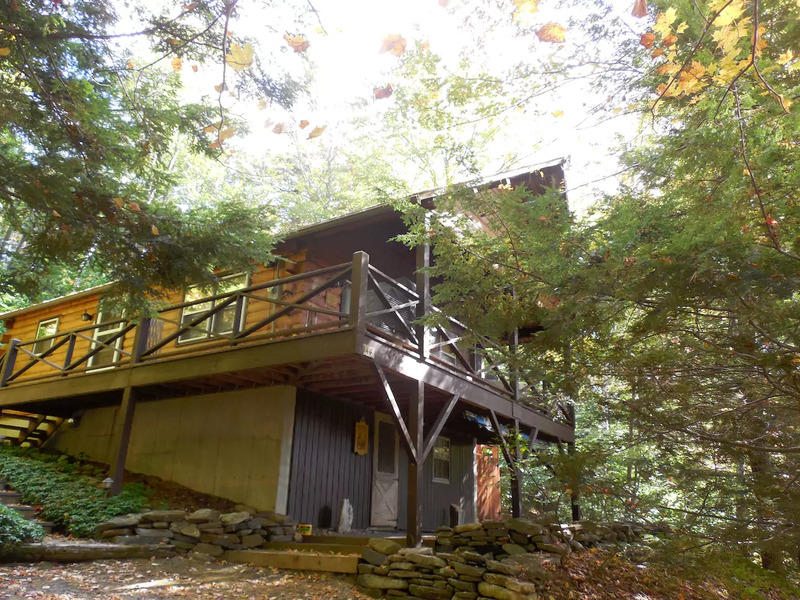 It offers stunning cathedral ceilings, a two-person Jacuzzi, and plenty of gorgeous natural scenery. 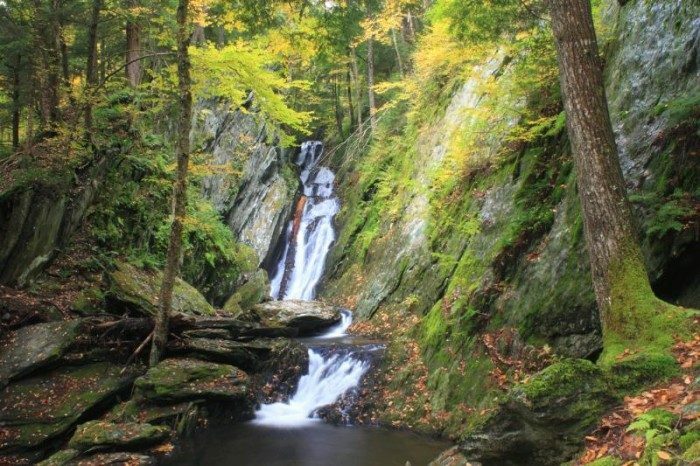 If you're up for a brisk hike through the fall foliage, Tannery Falls in the Savoy State Forest is only about a mile away. At night, cuddle up by the wood stove. Rates start at $200 a night. 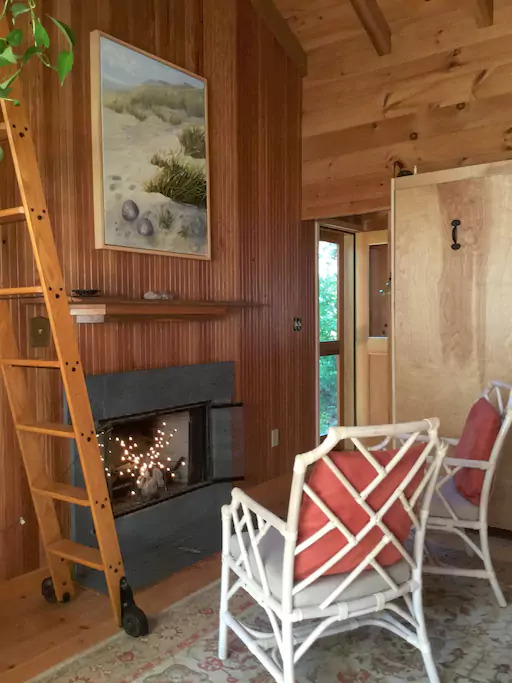 This is a beachside retreat with a classic cabin feel. 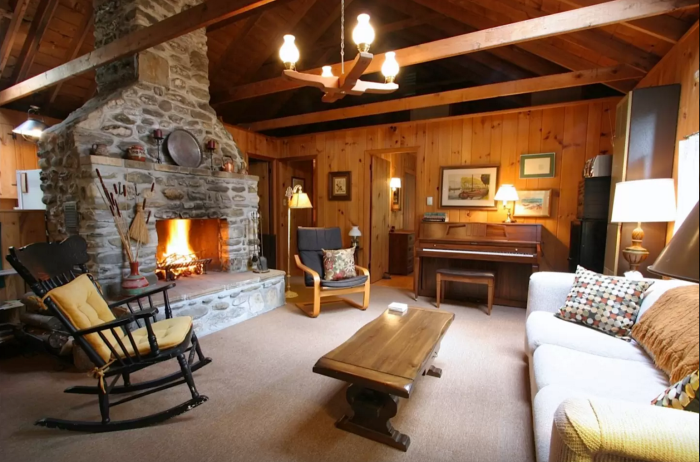 The massive stone fireplace is sure to chase away that fall chill, and the rustic decor will make you feel incredibly cozy. 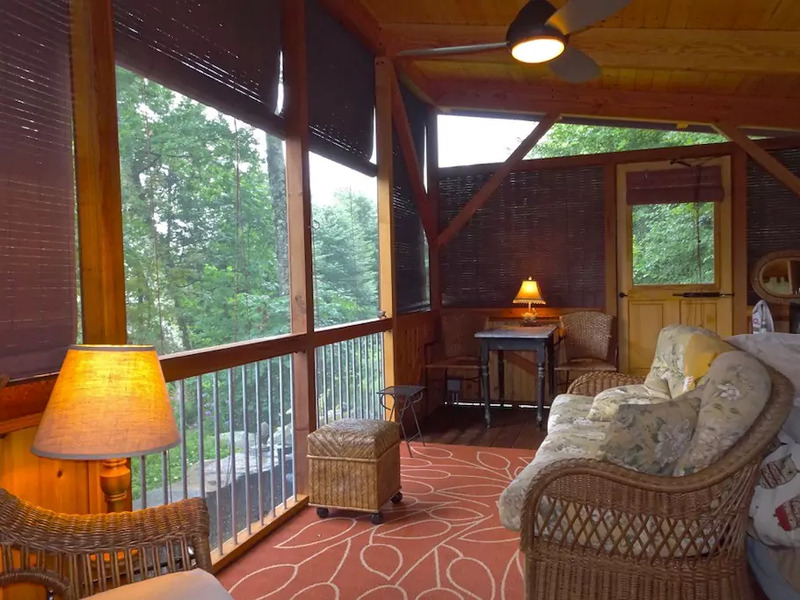 The cabin also offers a heated porch, a piano, and room for six adults. Rates start at $200 a night. This gorgeous chateau is situated on five acres of private woodland property. 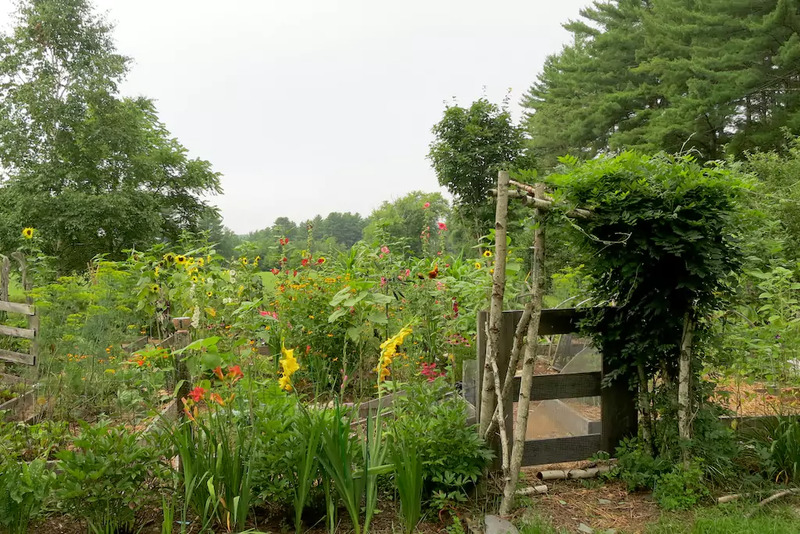 Though it feels a million miles from civilization, this spot is actually only 15 minutes away from popular local restaurants and shopping. 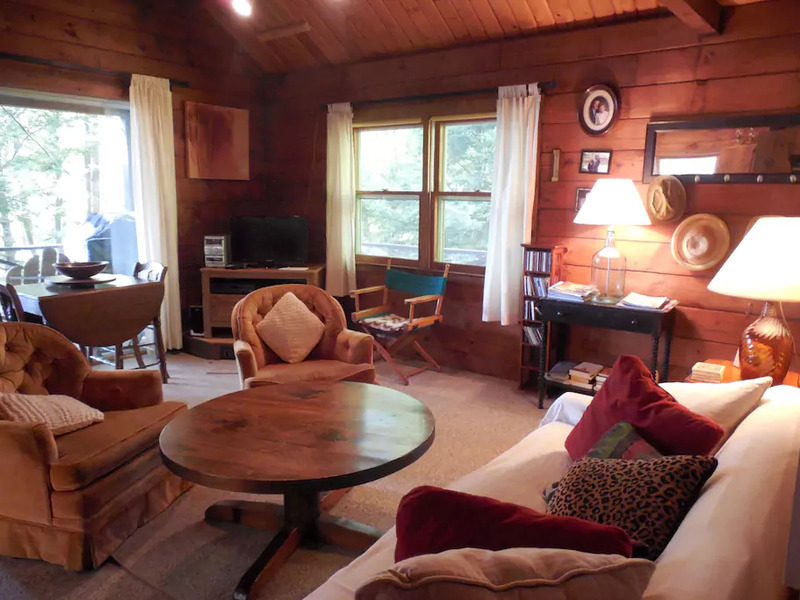 The cabin has four bedrooms, a Jacuzzi tub, a king-sized Tempurpedic bed and a formal dining room. Contact the owner (follow the link below the photos) for date-specific pricing. 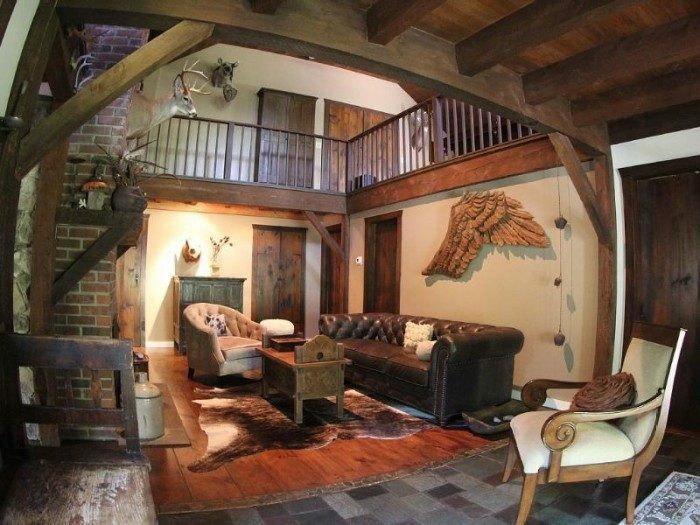 This rustic retreat is perfect for an unplugged, cozy weekend away from the world. 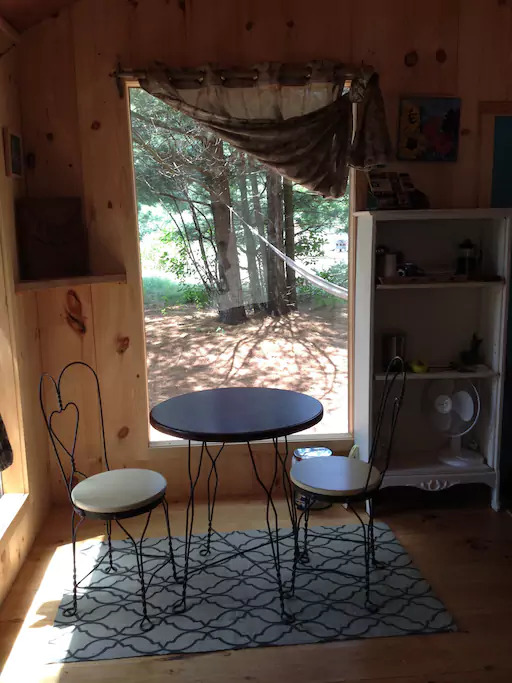 Sweetly primitive (read: no electricity or running water), yet still comfortable, the cabin offers room for two guests, full heating, a kitchen, solar shower and essentials provided. 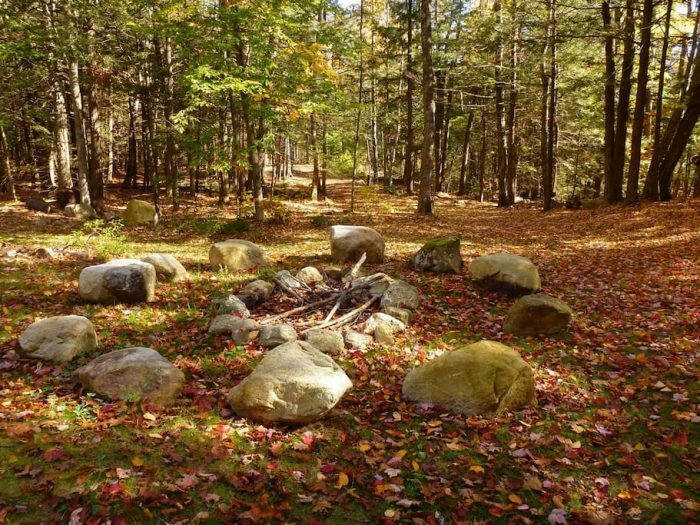 You can hike the surrounding trails, spend time at the nearby pond or just spend your time making s'mores over the fire. Rates start at $97 per night. 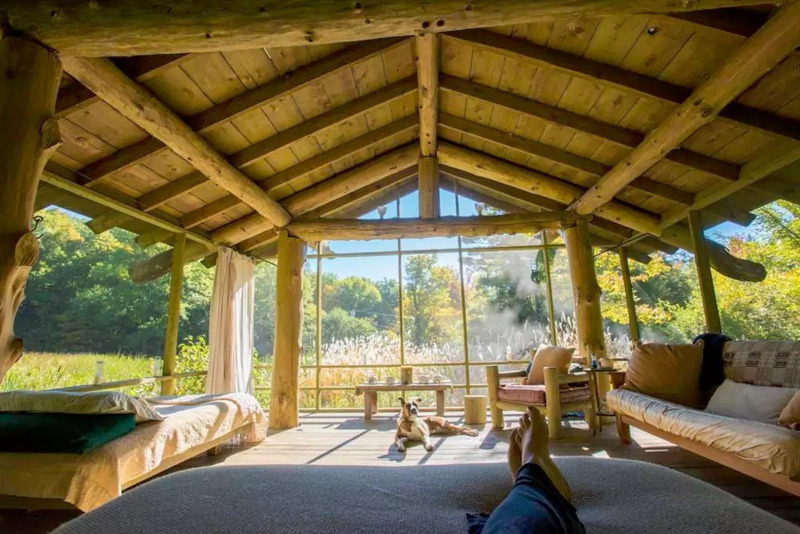 This magical property is a truly amazing outdoor experience. 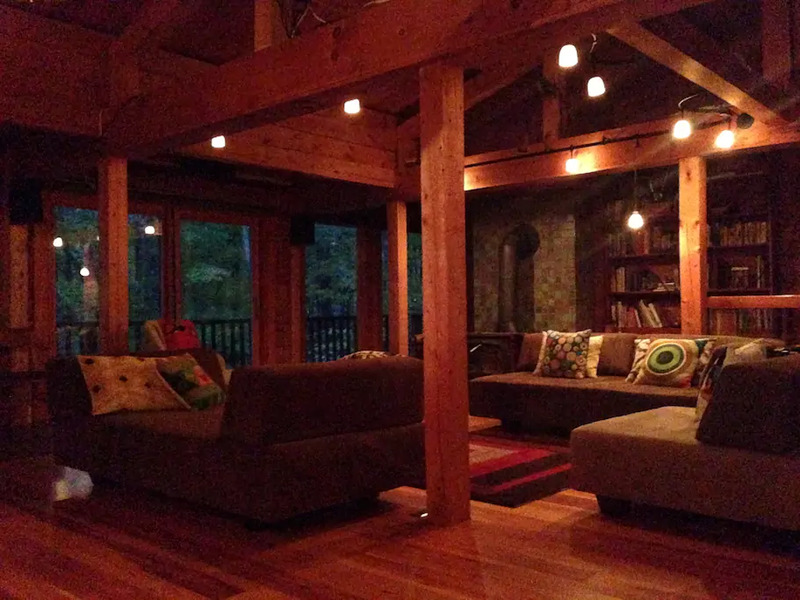 The walls of this cabin are just screens, and there is not electricity. However, the incredible views, serenity and stargazing make it the perfect "glamping" destination. 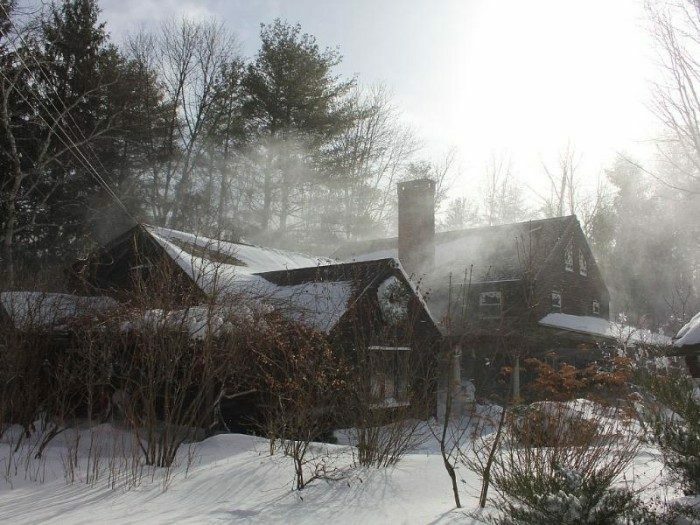 You'll hear the sound of peepers and owls at night, while your days will be filled with exploring the outdoors and cozying up to the fire. Rates start at $160 per night for two adults. 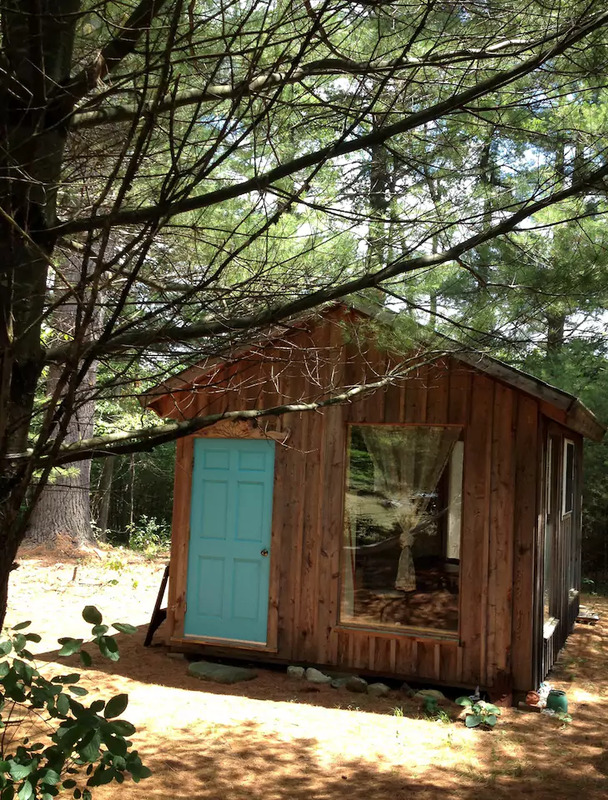 This tiny retreat is nestled in the woods next to an organic garden. 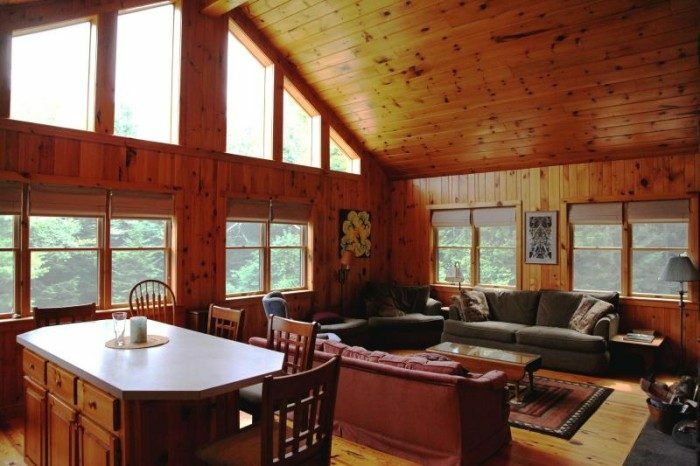 You can easily walk to the nearby pond and beach, enjoy a hot cup of coffee on the private deck, or get toasty by the fire. It's small, but that just makes the experience cozier. 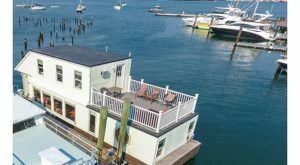 Rates start at $250 per night for two adults. This cabin looks rustic and rugged from the outside, but the inside is filled with modern luxuries and plenty of space to stretch out. 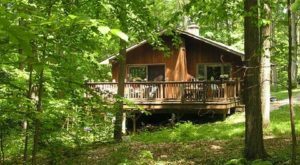 The cabin includes a lovely loft, wraparound second floor balcony, wooded bridge skylights, and full kitchen. 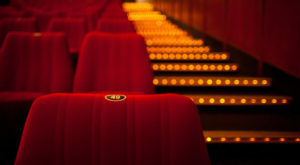 Rates start at $149 for two adults. 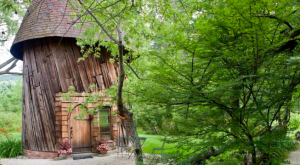 This forest retreat offers plenty of privacy and spacious accommodations that blend rustic and artistic aesthetics. 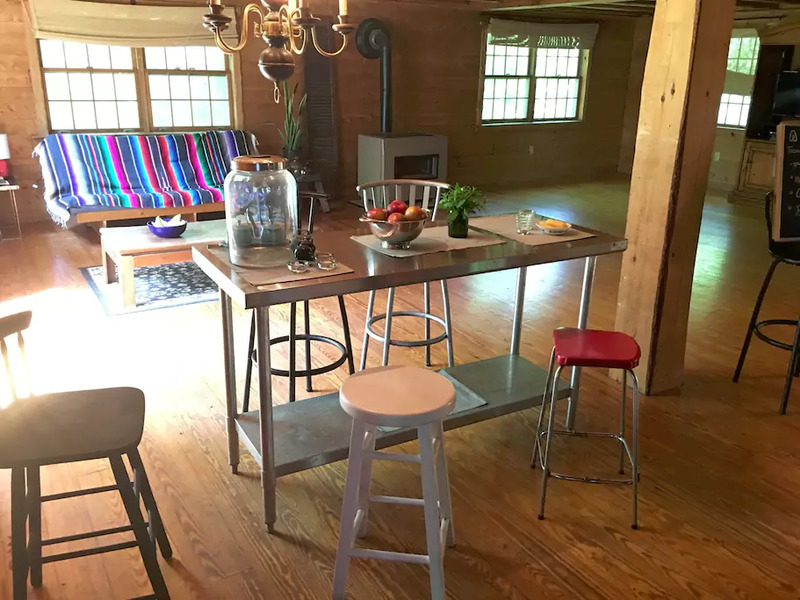 Enjoy a fully equipped kitchen, piano, meditation space, and lots of hiking and fishing opportunities. The cabin can accommodate six guests. 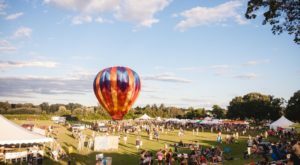 Rates start at $81 for two adults. This "fancy camping" pavilion is made of large screens and glass panels. There are bamboo blinds for extra protection from the elements and privacy. 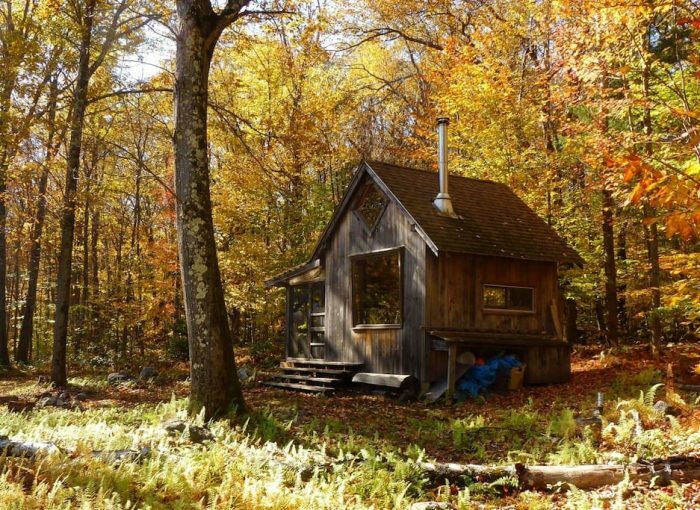 Even in the cooler months, a wood stove keeps the interior of the cabin cozy and warm. 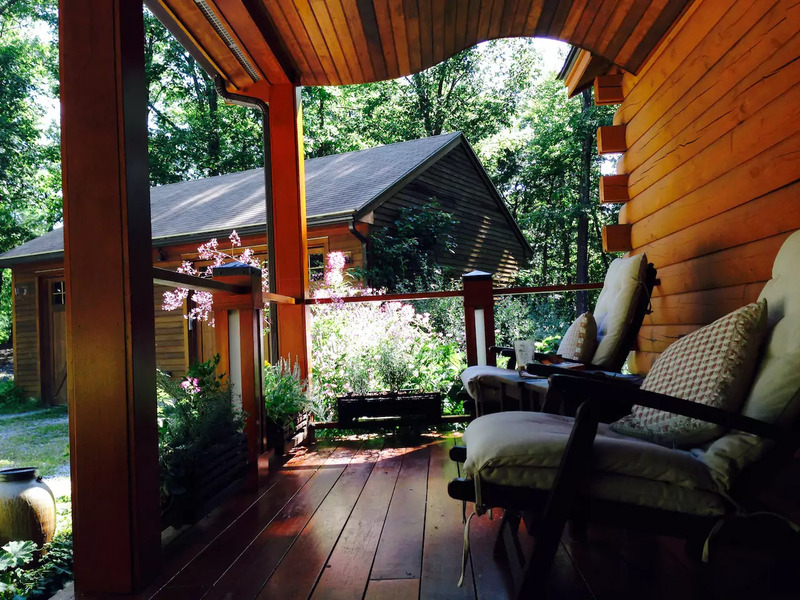 Relax on the two cedar decks, or explore the property's lawns, gardens, terraces and forests. Rates start at $75 per night for two adults. For more fall fun, take a drive down these 10 country roads in Massachusetts that are perfect for leaf peeping.